Sometimes you get those pangs of wanderlust but just don't have the time to go galavanting off travelling for two weeks. Luckily low-cost airlines and parks close to airports exist, so I've put together this nifty guide to some park trips you can do in one day! You can still have the thrill of experiencing a different country and a new park, it just means you'll spend the night in your own bed once you're done. Seven coasters, excellent water rides, a ton of weird Asterix themed shows and awesome dark rides. Parc Asterix is a world class park if there ever was one and it's just a quick jump across the water in France near Paris. Fly to Charles de Gaulle airport. Flights leave from both Luton and Gatwick multiple times per day with EasyJet and usually work out to roughly around £80 return if you go during the season. From there it's just a 15 minute drive from the airport, so grab a hire car and you're on your way! If there's enough in your group it can also be just as easy to get a taxi to drop you off. Top tip: this park can get extremely busy, so I'd recommend visiting either right at the beginning of the season in April or on a weekend in September before the Halloween season kicks in. Home of infamous Intamin Mega-Lite Pirate and loads of weird quirky 'only in Scandinavia' stuff (eg they give you balls of dough to toast on open fires, I know, right?) Djurs Sommerland is a stunning park with just the right amount to squeeze in to one day! Flying to Aarhus Airport. Flights leave from Stansted with Ryanair or Heathrow with SAS and you'd usually expect to pay around £60 return in season. You're only a 20 minutes drive to the park at Aarhus airport, so similarly to Asterix you can either grab a hire car or taxi if there's enough in your group. Top tip: make sure you don't miss out on the trampolines and inflatables. Unlike here in the UK, it's not frowned upon in Denmark for adults to join in with the fun! 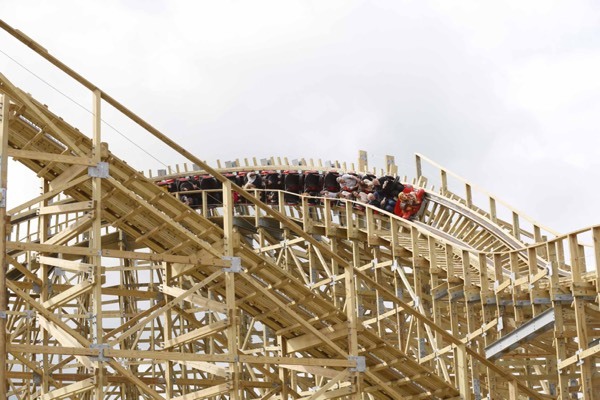 The biggest of the Plopsa chain of parks, Plopsaland de Panne has seen massive development in recent years with the addition of a waterpark, plans for a hotel and the construction of new wooden coaster Heidi The Ride. Good news is, if you're in London this park is probably closer to you than Alton Towers! You'll need a driver for this one. Fill your car and head to directferries.com and book yourself a crossing from Dover. 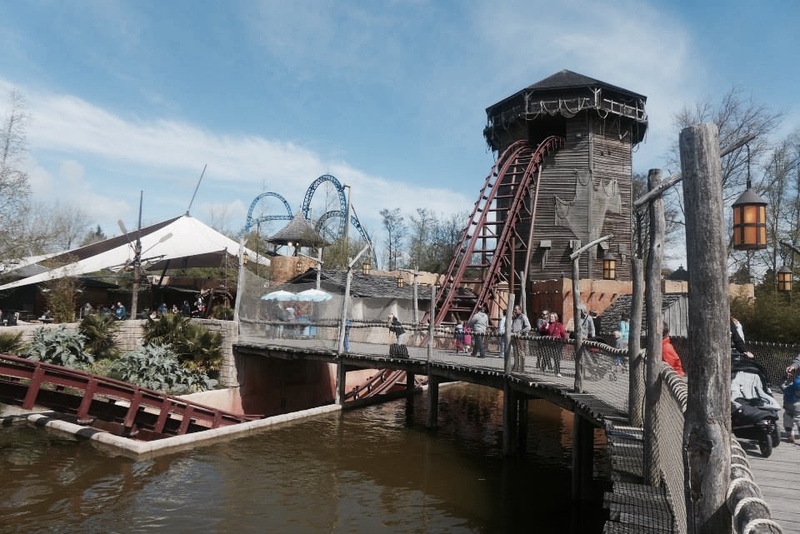 Plopsaland de Panne is a 45 minute drive from Calais and just 25 minutes from Dunkirk, so whichever port you choose you're close either way! You can usually expect to pay £60-100 per car for a return crossing, so if there's four of you that's as little as £15 each! Top tip: bring a picnic with you. You've got your car and don't have to worry about transporting food around, so pack your cool box and bring your own lunch as the food offerings at this park aren't amazing. Ok, this park is a little past its heyday when Goliath was one of the best coasters in the world, but it's still got a lot to offer. It's recently undergone a bit of a brand overhaul and I've yet to visit since the dreaded WAB characters have fully taken over, but from what I hear lots of love has been given to the coasters that were existing in a post-Six Flags decaying state when I last visited. This park is just an hour's drive away from Amsterdam airport, to which there are tons of flights from London daily, so it's really easy to grab an early flight out and a late flight back to make sure you get a full day on park. You'll pay anything from £60-100 for flights depending on what time of the season you visit. 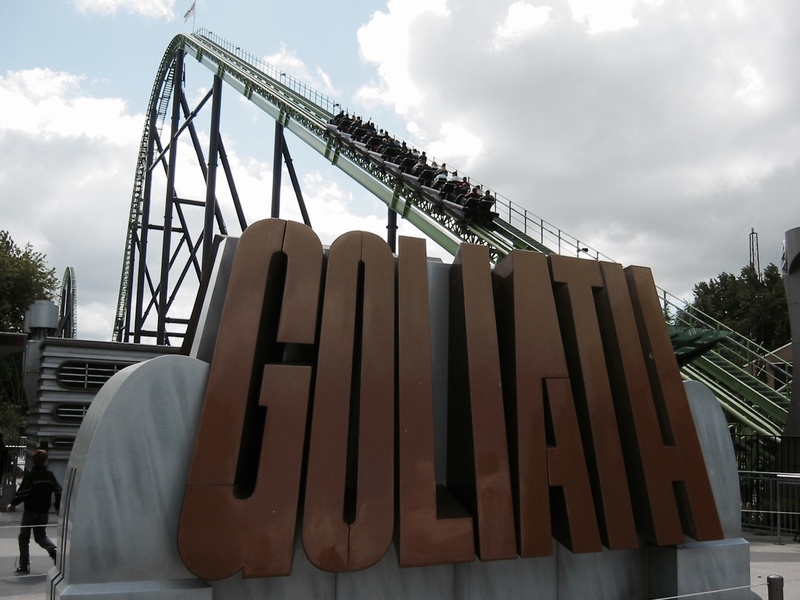 Top tip: This park is all about Goliath, cram in as many rides on this beast as possible! Yes, there's a park is Ireland with a potato as a mascot and yes, it's pretty darn fab! The park itself was just a fun family park with a petting zoo and a few 'extreme sport' style activities like zip-wires and high-ropes. 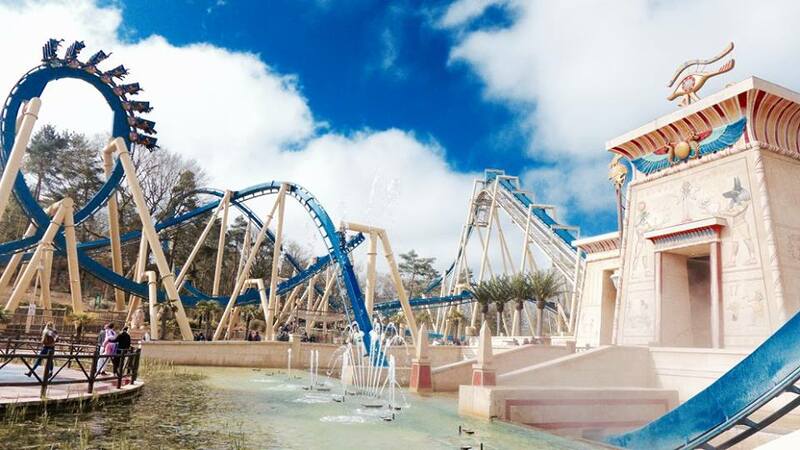 Last year they firmly planted themselves on the European theme park map with the addition of CuChulainn by Gravity Group and have been a must-visit destination for enthusiasts ever since! Similarly to flying to Amsterdam, flights to Dublin are incredibly frequent and are available from multiple locations with low cost airlines including Ryanair and Aer Lingus. Expect to pay up to £80 for in season flights. Once you've landed, take the Airlink express to Dublin City Centre then grab the Bus Eirann Route 103 direct to the park! Or of course you can just grab a cheap hire car for the day. Park is roughly 45 mins from the airport. Top tip: Don't miss out on the crisp factory tour! Yes this is a theme park built around a brand of crisps and you can actually go inside and watch how the crisps are made. Ridiculous yet amazing. 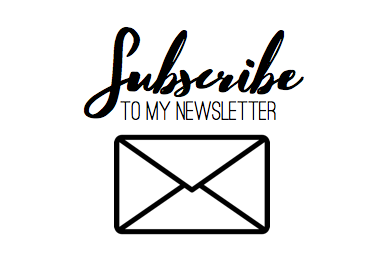 As much as I'd call blasphemy on anybody who tried to spend less than a day at my beloved Phantasialand, it is actually ridiculously easy (and cheap!) to day trip. Plus, if you grab this park mid-week you'll more than likely find everything to be walk on. One of the best theme parks in the world, empty and back home quicker than a trip to Alton Towers? Yep, I'm in! Fly. Stansted to Cologne go at convenient times for a day trip to Phantasialand. You'll most likely fly with the likes of Rynair or Eurowings and look to pay around £50 return. Flights land at around 10AM, so by the time you've grabbed your car hire and travelled the 25 mins down the road to the park you're likely to arrive at around 11AM with plenty of time left over to enjoy the park! So no excuses. next time you find yourself with a day of spare holiday here and there jump onto SkyScanner, see which flights are going cheap and haul yourself off for some European theme park goodness!